Now that my kids are getting older, I've noticed two things. One, they're always hungry and two, we're always on the go. It's inevitable. I'll make them breakfast on a school day, they'll eat it all, and then just minutes before the bus is ready to pull up they're asking for more to eat. Or it's after school, they get home and one kid needs help with homework, another needs a soccer uniform and the third wants to show me their latest creation. Meanwhile, all three of them are asking for a snack. So, when I was asked to sample these new Quaker Soft Baked Bars, I was eager to try them out. With 140 calories, 5 grams of fiber and 6 grams of protein, I could see that they'd be a wholesome food and a good choice for a filling snack when we're short on time or on the go. However, the real test is in the taste. A snack is not going to appease my kids and keep our busy lives running smoothly if they don't like the taste of it. 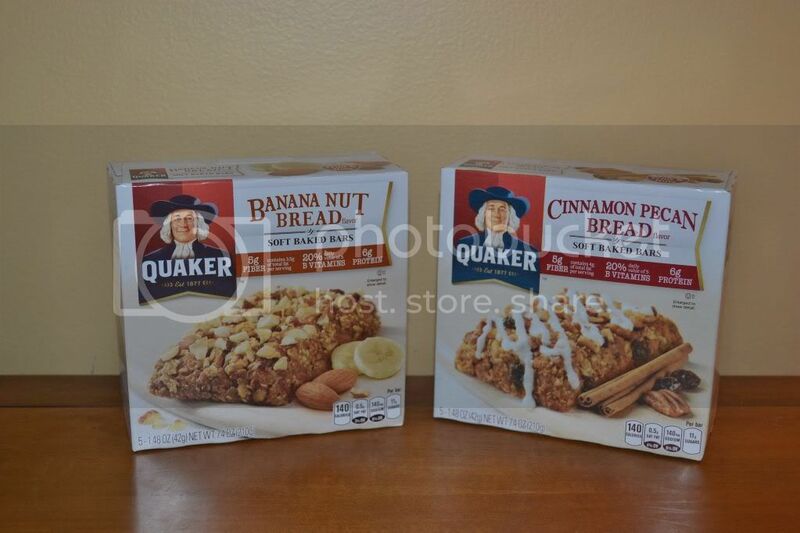 I gave them the choice of the Banana Nut Bread Baked Squares or the Cinnamon Pecan Bread Baked Squares. 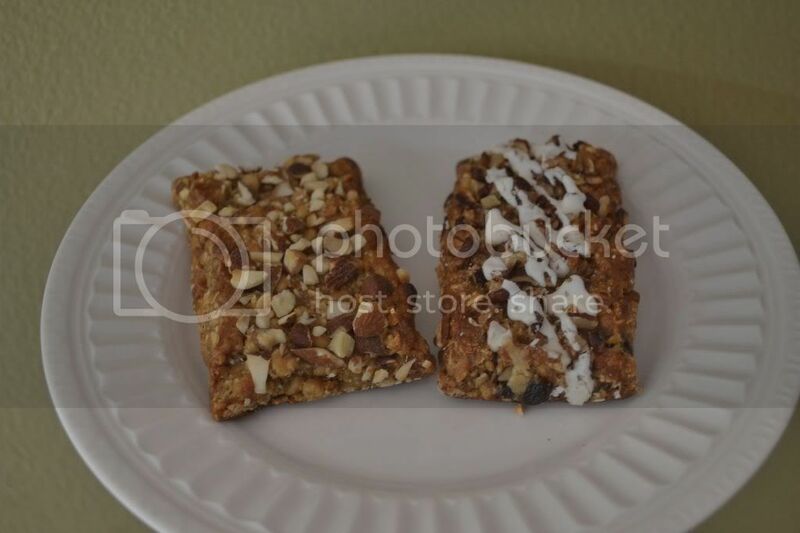 Both looked yummy to me, but I could see them being swayed by the icing drizzled on the Cinnamon Pecan bars. I also gave the kids the choice of eating the bars plain or warmed up in the microwave. They all jumped on the chance to have them heated up and it was super easy. All they had to do was open one end of the wrapper and pop it in the microwave for 10 seconds. When the microwave beeped, the bars were nice and warm, just like they were fresh baked out of the oven. The verdict? These were a big hit. 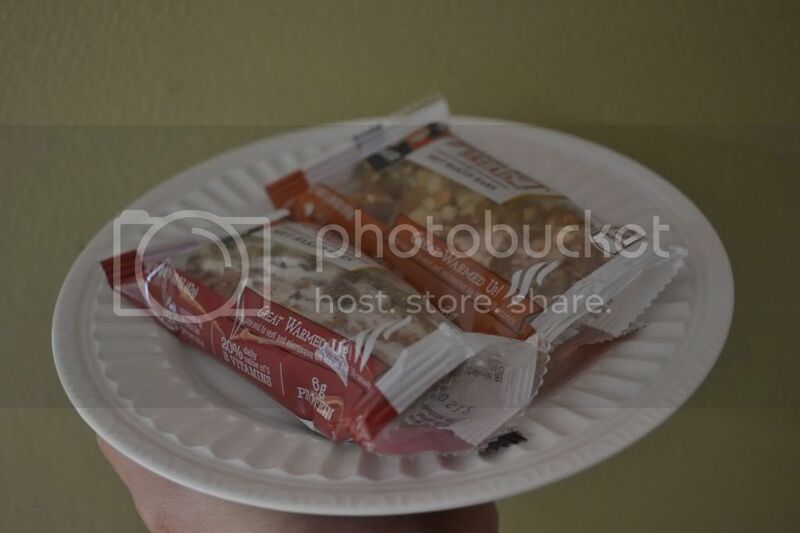 The kids loved their Cinnamon Pecan bars and I really liked the Banana Nut Bread ones that I tried. We all shared "a taste for a taste" of each others' snacks and decided that both flavors were really yummy. The kids are already asking me to buy some more as snacks and I'm definitely going to pick up a couple boxes to keep in the pantry. As I mentioned, they're the perfect snack for the kids when we're on the run and a great breakfast snack for me. Most mornings, I sit down for my breakfast after the kids get on the school bus and before I have to leave for my part-time job. However, several times a month I'm called in to be a substitute for the day and I have to quickly get myself ready and out the door on short notice. It'll be great to grab a cup of coffee and one of these Soft-Baked Bars to eat on the way to school. I do not like to read these kinds of posts. There is nothing wholesome about these bars. Look at all the ingredients you cannot pronounce, let alone define. When bloggers stray from what I feel is the main purpose of their blog -- and/or if it becomes no longer beneficial to me for the same reasons, or others, I delete them from my reader. Y'all have plenty of ads and sponsored links on your sites already. I don't want to read a commercial, too. I'm sure you have your reasons for writing commercials like this, but your readers also have their reasons for staying around or leaving. Just my opinion to let you know how one reader feels. Thank you so much for sharing your thoughts and opinions with me. I truly value your perspective and I really want my readers to find this site to be a great source of fun and inspiration and to keep coming back for more ideas. Occasionally I'm given opportunities to write these "commercials". I do receive financial compensation for some of them and that compensation helps me to do things with my kids that I would not otherwise be able to do. Please know that I turn down way more opportunities than I accept because I don't feel that most of them have anything to do with the main purpose of my blog. In this instance, the kids and I really did enjoy these snack bars. I understand that they're not as wholesome as something I'd make from scratch, but they would make a good occasional treat when we're in a hurry. For that reason, I accepted this opportunity. With that being said, I realize that I have had a few sponsored posts in the last couple months and I can see how that could be annoying for readers who come to the site expecting fresh, creative content. I can't promise that I won't do an occasional sponsored post or two in the future. The compensation I receive from the posts and the ads on my site help me to move towards a better situation for me and my kids. However, I will promise to limit the times I stray from the main purpose of my blog. I hope the ideas and content I share as I do things with and for my kids will far outweigh the occasional "business"-type posts that I do to help our current situation. Thank you so much for leaving your opinion. I'm sure if you took the time to write it, there are many other readers who were thinking it themselves. I truly value each reader and fan and I'm grateful for the occasional reminder of why I started this blog in the first place. I hope you come back to read and see this comment. Feel free to email me at cometogetherkids@hotmail.com if you'd like. I'm more than willing to chat some more and do what I can to keep you as a reader. You're a mom who cares that her children have a healthy breakfast. I've had kids get off the school bus hungry or eating a sugar stick - especially bad after Halloween - candy in backpacks. 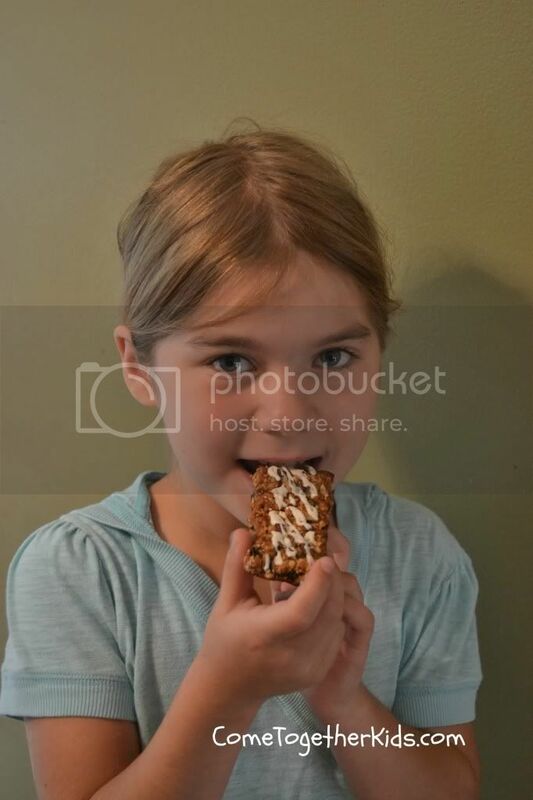 Looks like a tasty and wholesome bar to me and your child is smiling - so guess she likes it! Nice article with useful information regarding great use!